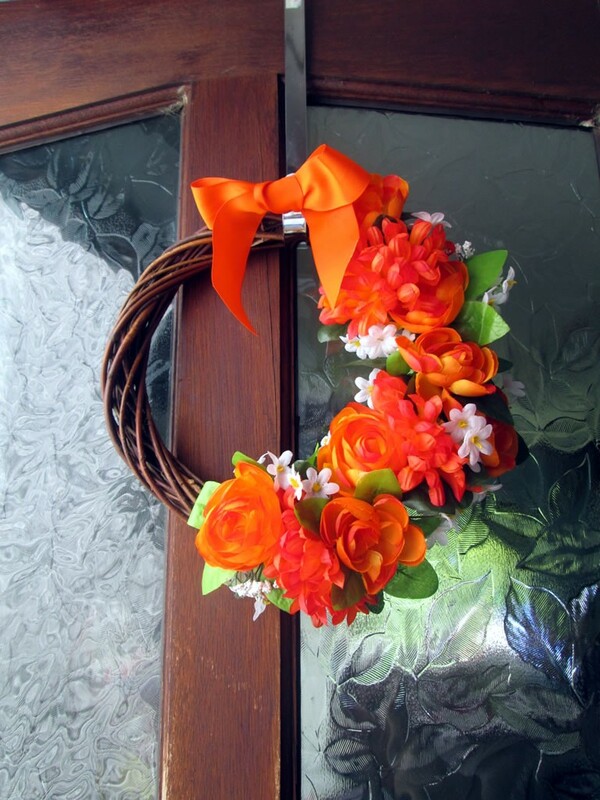 A few months ago I decided to adopt the American practice of hanging a door wreath on the front door all year round and not just at Christmas. I made a ruffle rag wreath out of scraps of green fabrics that were left over from another project. 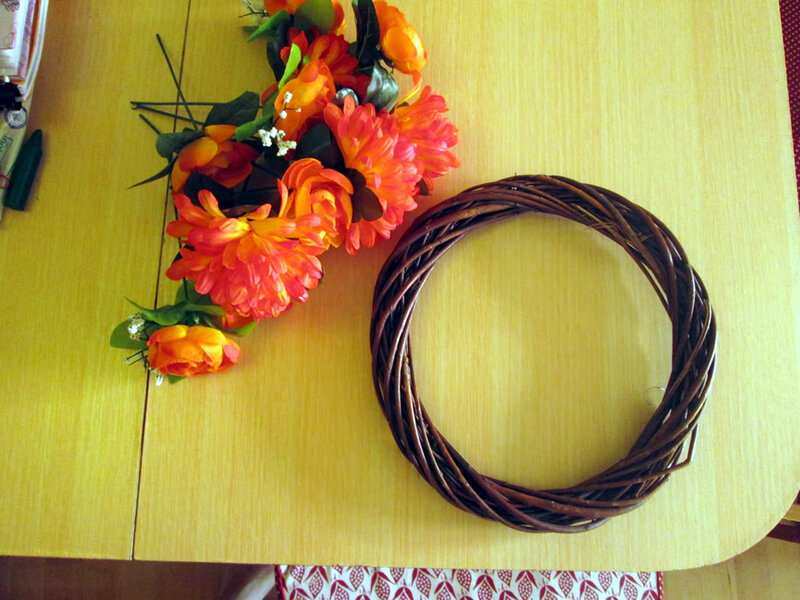 I wanted to make a summer door wreath, so after trawling Pinterest for hours, I opted to make a floral wreath using a willow wreath and some silk flowers.Here’s how I did it in case you want to make your own! 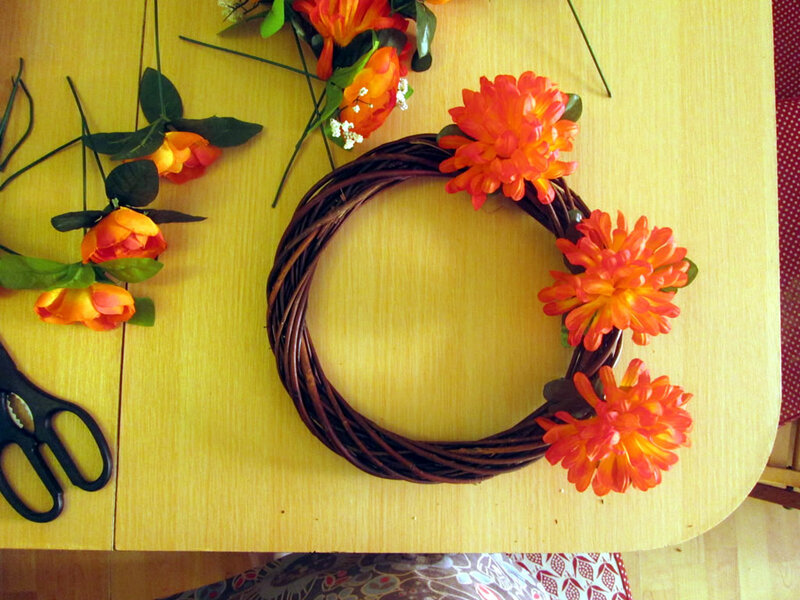 You will need a willow wreath and some silk flowers. Choose 3 largish flowers and poke them through the willow. I cut the stems to make them a bit shorter. I found this harder to do than I was expecting. Also the flowers snapped off quite easily! 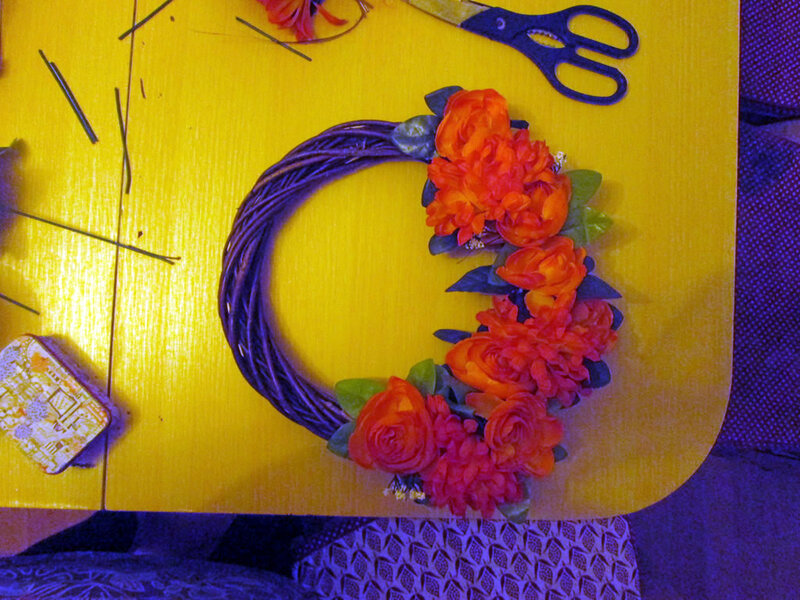 Use some other flowers to fill in the gaps. 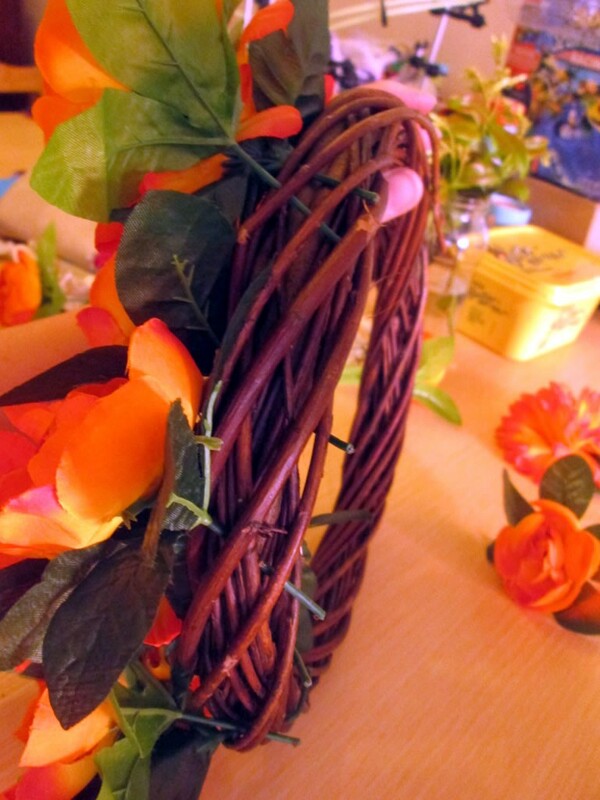 The flowers I used had wire in the stems, so I bent them round to keep them in place. Otherwise a hot glue gun would do the trick. Add some small flowers to fill any remaining gaps and to add some variety. Tie a bow at the top. That’s it! Easy!